How many of us can relate to this one? Explosive tears, screaming kids and full blown meltdowns in public? Right? It’s a task to manage temper tantrums but today, we have an expert who will do just that in this piece on taming the tantrum. A frequent reader of my blog sent me a request a few weeks ago. She wanted to know if I had written a post on behavioural issues facing young children and how to deal with them. Most of my readers know that what I write comes from personal experience with bringing up Gy. But, this is a subject that can benefit from some deeper, professional insight. So, for this post, I am introducing a child counsellor, Gayathri Ananth, who will share her wisdom on this topic. She was kind enough to answer my questions in detail over e-mail. Thank you, Gayathri, for taking the time to answer my queries and those of other parents in such detail. Very grateful for this! Gayathri Ananth worked for 12 years in a leading financial institution before she called it quits to take care of her 3.5 year old son. She is a counselor trained at Parivarthan. 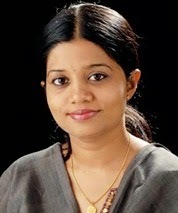 Gayathri has done her advanced training in child and adolescent counselling. She is trained in multiple modalities of alternative psychology like counselling psychology, child therapy using play, clinical hypnotist and is a Master Practitioner of Neuro Linguistic Programming (NLP). Gayathri has joined hands with My Little Chatterbox as a consultant and she helps them design their programs. We’ve seen it all. The supermarket aisle meltdown, the wailing child in the middle of a living room floor, the unwillingness to share, the defiant disobedience, the ‘meaningless’ screaming- you name it and any of the above can lead to a tantrum. What can we do to handle these scenarios? What causes them in the first place and how can we deal with them positively? Q: When do tantrums start, typically? A: Between the age of 18 months to 2 years is the time when temper tantrums are known to start. This is around the same time when the child is just discovering that their wishes can conflict with the wishes of other people. Their feelings are very strong and it can be quite upsetting for them. Early temper outbursts are a valuable chance to teach a child how to handle life with good humour and flexibility. Q: When do tantrums stop? A: Tantrums don’t stop. They just take a different form, if not handled properly at an early age. Children who get used to getting things done by throwing temper tantrums would turn into very angry adults who may find it difficult to function normally. Q: How should we react? A: Make the message loud and clear, you don’t always get what you want. Communicate to the child that “Whether you feel happy or unhappy doesn’t affect the world one bit. You may as well be happy”. Calm yourself – don’t join in. Screaming would ruin everything. Giving reasons does not work either. Q: What if he throws a tantrum in public? A: Be calm and present. Help the child by being physically close to him. Don’t smack or yell at the child. If the child is thrashing about on the ground, wait patiently for him to stop. If this happens in a public place like a supermarket or on the street, where you feel embarrassed /exposed, you might want to take the child outside or to a quiet corner. If it is at someone else’s house, it would help to take them to another room and have a quiet talk. But whatever the scenario, don’t give in to the tantrum. Let the child calm down before you decide whether to satisfy the need or not. Q: How should I prepare for future episodes? A: Approval and attention from an elder is among the strongest rewards for children. The best way to deal with temper tantrums is to stay consistent. 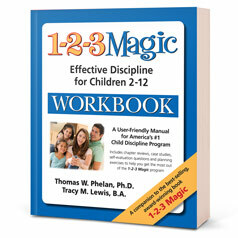 It is crucial when disciplining children that you stay consistent in the way you deal with tantrums. Do not give in. when you give a child attention for misbehavior, the child has learnt that screaming and misbehaving equals attention. And next time the child will know exactly which buttons to press. Focus on positive behavior. Giving positive attention to a child helps in avoiding future episodes of temper tantrums. When we give our children attention and approval for being well-behaved, they are getting positive attention. Positive attention increases good behavior. When we give our children attention for misbehavior (advice, threats etc), we are giving negative attention. Negative attention increases misbehavior. 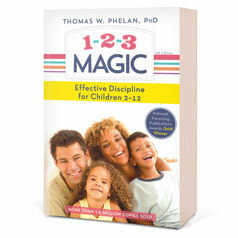 When children do not receive attention in a positive way, they tend to get it through misbehavior or tantrums. This doesn’t mean that we eliminate the child’s need for approval and attention, but only try and weed out those attention- seeking behaviors that are excessive or unacceptable. Parenting is tough. These books can help you out! This post contains affiliate links to ShareASale programmes. What that means is if you buy an item on the site through this link, I will get a referral fee, at no additional cost to you. If you do buy through this link, I thank you for your support. These are certainly some useful tips.. And good to know how to deal with the child's tantrums such that we don't create a pattern of misbehavior..! Reading this, it makes me realize how blessed I am. I have two grown children and my son only had one tantrum in his life. My daughter, not one. Now I am watching her raise her little boy — he will be 3 in October and he has had one tantrum. I observe how she handles it if it looks like he is going to be upset. She gives him two choices – the same two each time. She asks him “Do you want 'time out' or do you want to do what mom told you to do?” He always answers her and sometimes he chooses the time out because he does not want to do the other. In his time out, he must sit quietly and think. It is such a wonderful delight to watch and it obviously works because he is so Carol @ Battered Hope well behaved. Oh, the horror of public tantrums!!! Great tips! Also, I think many tantrums have some physical discomfort behind them – sleepiness, hunger, thirst, full bladder, or the beginning of a fever or cold. Simple yet things we forget! Thank you for the reminders. Love the tips Shailaja and Gayathri! Great tips. I have survived my share of meltdowns. It is hard when kids first stop having them. After a while, I think you become a bit immune to them. HA HA HA Great article! So true, Kajal. These tips are handy to refer to over and over again. Glad they are useful, Priya. Valuable tips, Gayathri. 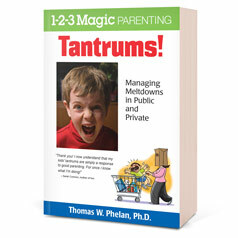 Most times, it is parents that unknowingly allow a tantrum to grow. While they are only human and may be justified, these are the times that test the patience and call for being calm. I was blessed with a Mom who never raised her voice in anger…and she in turn, claimed she had a daughter who never threw a tantrum. 🙂 And now, I have a son who has never thrown a tantrum. Yet. He's 16. Sulking yes, but tantrums and show of temper, no. Great feature, Shailaja! Thank you. Indeed, Fab. It's up to us to identify the causes and work on them. Thank you Anunoy. Welcome to the blog. Thanks for sharing these tips from an expert here. I sent this to one of my friends who are observing these kind of behavior in their child. We did not have to face much of these-fortunate we were :-). Thanks for all your valuable comments, everyone!